Instead of our usual Q&A blog, we have an exclusive and rather lengthy interview we did with Historia Games for you this week. Interested in taking a look at yet another class for Holdfast: Nations At War? Or perhaps a sneak peek at one of the maps we’re working on right now? Go ahead and check the interview out! Interview with Historia Games in English. 1. Can you present yourself, the studio and the game to our community? I'm Andrew “Refleax” Farrugia - Producer for Anvil Game Studios. We're a small independent studio based in Malta and history has always been a source of inspiration for us since we're always surrounded by it. This is why we decided to develop a game centred around such an iconic era for our very first title. Holdfast: Nations At War is an online multiplayer first and third person shooter set during the great Napoleonic Era. Joining the rank and file as a line infantryman, assaulting coastal fortifications and sailing ships of war are some of the things that you will find yourself doing in the game. 2. As you may already know, there are a lot of strategic games based on the Napoleonic Era. However, there are almost no RPG/First Person/Third Person games with the exception of the “Napoleonic Wars” DLC for Mount & Blade Warband. Did you take your inspiration from this DLC? Where you once a part of its community? We have certainly taken some of our inspiration from the Mount & Blade series for Holdfast: Nations At War. Musket-warfare based games are a growing genre which we ourselves are passionate for and are proud to contribute to. 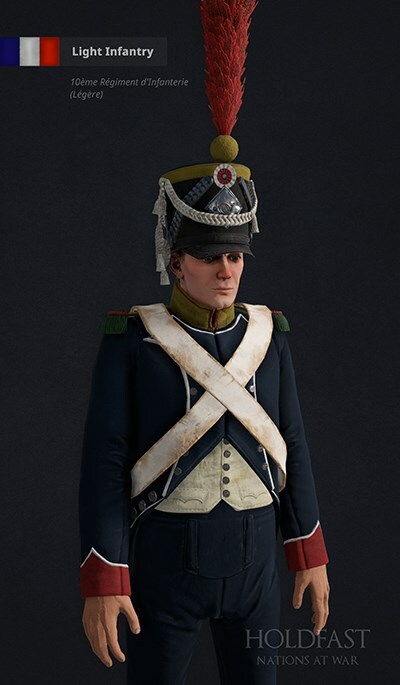 Individually we were very much involved in the Napoleonic Wars DLC community as well. Some of the older folk may remember me working on public relations for it before I had to take a step back from it all so I can focus on Holdfast: Nations At War. 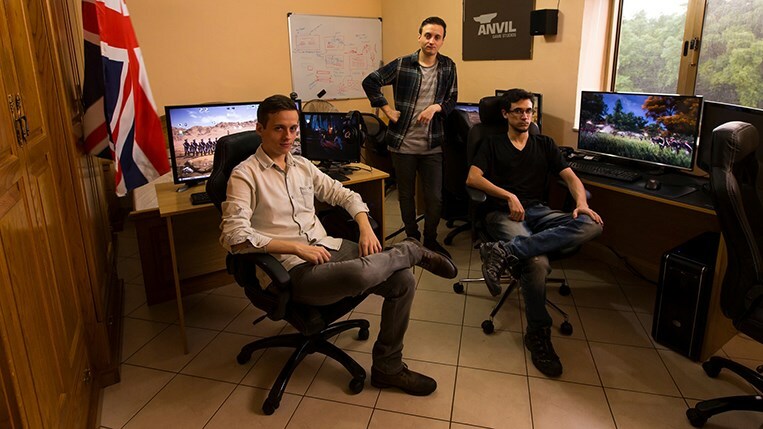 Other team members from Anvil Game Studios have also previously worked on the DLC as level designers, environment artists and marketers. 3. 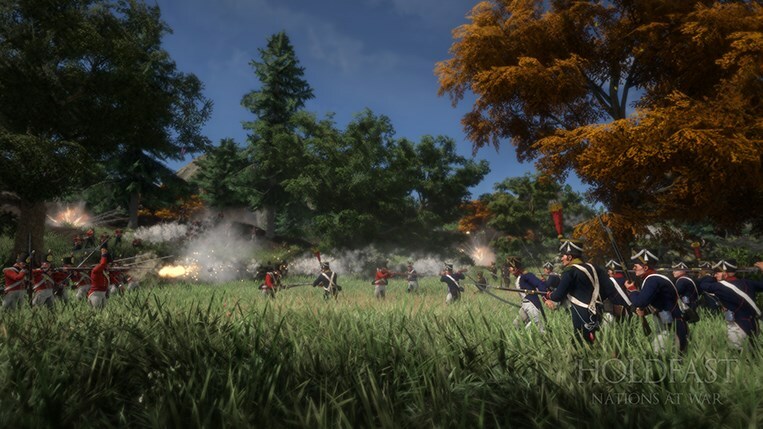 Why did you choose the Napoleonic Era and how do you explain the trend around the type of RPG multiplayer these last times? Because we love the era! It also provides us with a lot of content to explore and expand upon. There's not a whole lot to say about how this genre of games picked up, except for that they're great fun and the competitive element that is built around these style of games keeps the community involved. It is something we will also be supporting ourselves by hosting official tournaments and events. 4. This game is unique because of the era as well as the combination of land and naval battles. Why do you think that the Napoleonic Era hasn't been picked up by more developers? Perhaps they would think that standing in line, waiting for your eventual demise from enemy musket fire wouldn't be appealing to a lot of players. We dare to think otherwise! There's nothing greater than the feeling of comradery that it brings with it. You'll be able to experience that in our naval combat as well. We have found that offering a combination of warfare on both land and sea provides for very fun gameplay. Holdfast: NaW is a very ambitious concept for a game and we've been giving it our all to bring it to life. 5. Can you tell us more about game modes? I have been waiting for an opportunity to talk more about this and seeing as this question comes exactly at a time when we're also working on game modes, I feel that now is indeed the right time to start revealing some of our plans for them. Army Assault - You only have one life. Your objective is to eliminate all troops in the enemy faction. Army Battlefield - Push back the enemy faction's troops until their reinforcements deplete. By depleting their reinforcements, players won't be able to spawn for that faction anymore. If you're still alive on the battlefield and your faction's reinforcements deplete, you will have to commit to your last stand! Players will also spawn in waves in this game mode. Naval Battlefield - Sink the enemy faction's ships. Every ship has an allocated amount of crew reinforcements which allow players to spawn on them again if a member of their crew dies. We have more game modes in the works other than the ones we revealed above. You will find a greater selection of playable game modes even within the game's release on Early Access. 6. How many players will you support per server? We naturally want to support as many players as possible. We are still conducting tests on our side to see where things stand right now. Rest assured that we will not be neglecting performance optimisations (Including the ones aimed directly at increasing player count) both after and during the Early Access period for the game. We are a small team developing the game from the ground up on the Unity engine. Give us time and we'll do our best to work on the things the community wants most. 7. Which factions will be available? We decided to focus on Britain and France for the Early Access release mainly because we feel that they are more recognisable and would appeal to a large audience. We do understand however that there is more room for expansion when it comes to the inclusion of additional factions within the game. We are also very much looking forward to doing that as well. The community will be involved in our decision as to which faction is included next. 8. How many playable classes do you plan on including? The greater the selection of classes in the game, the more versatile gameplay will be. Including an additional class is not just a matter of creating yet another uniform. We add depth to each and every class by giving it a set of orders, traits as well as abilities which that in itself is a substantial amount of work. 9. Will there be any historical characters we can play? Marshals, generals, colonels, etc. We have already concepted and planned ahead for this since we figured out that it would eventually be requested by the community. When we get to including admirals and generals as a class, we want to give them a proper commanding role within the battlefield. Right now we are focusing on bringing classes into the game which are playable by more than a single player. We will not be able to slot them in before the Early Access release this year. 10. Will the game be rather realistic or rather arcade or a mix of both? We believe that finding a proper balance between gameplay and realism is key to making the game fun. We will be looking at working with our players to make sure that this balance is right. Players have already suggested that we include a game mode which would have a more ‘realistic' approach. Some ideas which come up were to further increase reload time for firearms and to disable the minimap. Everyone is more than welcome to head over to our forums and voice their opinion on this. 11. What theatre of operations can you fight in? We are currently working on a variety of maps on both land and sea in preparation for the game's Early Access release. Our current scenarios range from grassy plains, snow-covered wastelands, deserts and tropical islands. We will also be featuring a variety of iconic fortifications on our maps such as the Martello Tower. 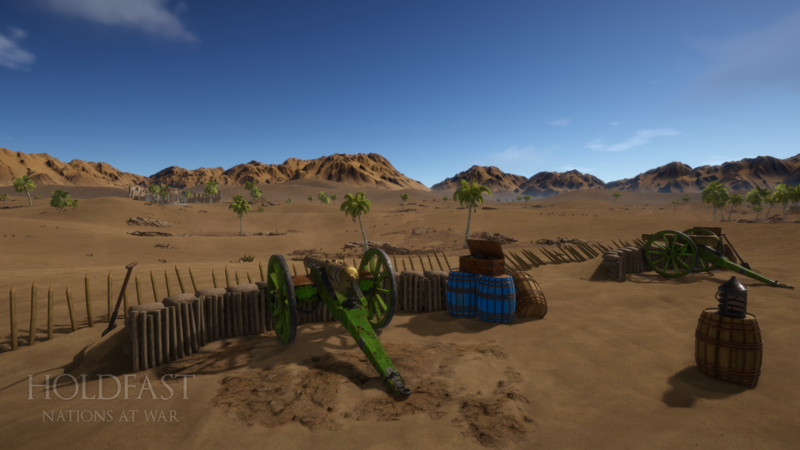 Here's a preview of one of the maps we're working on right now - An open land based map called ‘Tahir Desert'. 12. The naval aspect of the game seems to be a big part of it. Can you tell us more on this? Do other games like Blackwake and Naval Action inspire you? It is indeed! We have already put a lot of work on the naval side of things. We have a total of four ships already in-game excluding the rowboat and there are more in the works. It takes about three months to develop a single vessel due to the complications involved with making them destructible. We have also released a developer blog about our sailing mechanics. In it we go into detail about how the wind direction effects ship speed and manoeuvrability, raising and lowering sail, as well as a variety of other related features. I do suggest that you check it out. 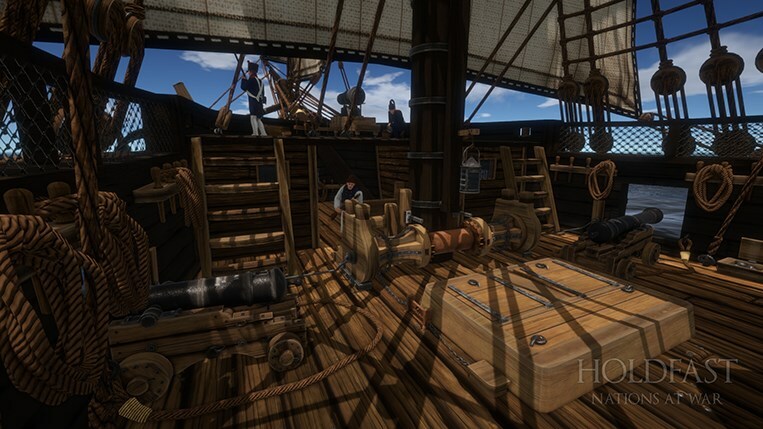 We're all for supporting other developers that are taking a vivid interest in the age of sail! 13. In the future do you think it's possible to include a frigate? Very much so! We will be including larger naval vessels than the triple-masted Brig-Sloop we have shown in our announcement trailer. The presence of a frigate in our game sounds like a very good place to start from. 14. How can officers give orders while in battle? Will it be by voice chat or perhaps with some special element incorporated in the game? Commanding classes such as the Officer and Captain will be able to relay orders to other players through the game's user interface. Let's say that the Officer issues the ‘Charge!' order, this will display a message on screen to all players close to the officer's vicinity instructing them to charge. The ‘Charge!' order will also temporarily increase melee damage for said players. We have already experimented with the integration of 3D VOIP (voice chat) in the game. We have placed this feature in our development roadmap since we think that it will greatly help with promoting teamplay when it's done. 15. On your website, you stated that “Holdfast: NaW's combat mechanics are easy to learn but hard to master”, can you tell us more about the melee combat system? We have decided to go for a directional melee combat system for Holdfast: Nations At War. It is very intuitive and easy to get used to the basics. Depending on the type of melee weapon you're using, you will be able to strike and block in several directions using mouse gestures. Players wielding a one-handed sword, for instance, can strike and block in all four directions - Up, down, left and right. However, choosing the correct time for when to strike or to block requires skill and experience and has a much greater learning curve. 16. Is it possible to include modding tools? We would certainly love to provide our community with a map editor to start with but it would be counterproductive to look into modding functionality at this point in time. Right now, our priorities lean towards finishing the game. 17. To create uniforms, weapons, forts, what type of sources do you use? Books, movies, documentaries and if yes which? We make use of a variety of source from actual blueprints to model ships upon, building plans and other sources which are sometimes provided to us by reenactment groups. We also depend on our character designer's expertise when it comes to the creation of historically accurate uniforms since he's very knowledgeable in this field. We don't depend on the following for historical reference but I would say that they were all a big source of inspiration for our game. I'm personally a huge fan of both the Sharpe and Hornblower series. I don't think that this comes as a surprise to anyone but I consider Master & Commander to be one of the greatest movies of all time - Which brings me to the question, where's the damn sequel? 18. What do you think about having an in-game encyclopaedia to learn more about the naval vessels, classes, weapons and other historical facts? This is the first time we're hearing of such a suggestion. We think that it's a really great idea to have a Wikipedia of sorts in the game since it could serve as a good introduction for new players to the Napoleonic Era and the game itself. 19. Do you have some contact with reenactment groups? Yes, some of Anvil Game Studios' team members also engage in the spectacle themselves. I have also been recently chatting with someone from “Fondazzjoni Wirt Artna” - a voluntary organisation here in Malta whom objective is to preserve heritage. We'd really like to work something out with them in the future. 20. When you released your trailer, did you expect such a success? In all honesty, we didn't expect such a great response! We're really glad that the game is being received so well. 21. When will you be releasing the game? We will be releasing the game as Early Access on Steam this year. We'll be sure to let you know as soon as we have a more definite release date. We have also recently put up our Steam store page in preparation for the game's release. 22. In the future do you have plans for other projects? We have many and varied aspirations for the future. However, we want and need to place our entire focus on Holdfast: Nations At War right now. I'm sure that our current title is going to keep us busy for the years to come. It is after all one of the reasons why we chose the Napoleonic Era. Who knows what the future will bring. Interview with Historia Games in French. We’re working as hard as possible to bring Holdfast: Nations At War into your hands this year. Feel free to join in the discussion for the following blog here.